The purpose of this short article is to focus on the common themes arising from these reviews that, over the past few months, have generated robust debate among member states or have resonated with the UN Secretary-General as reflected in some of his follow on reports and statements. The recent work by the Norwegian Institute for International Affairs (NUPI), among other studies, has offered a more comprehensive analysis of the synergies and areas of convergence among the three reports. A second common message arising in particular from the HIPPO report and the global study on SCR1325 is a concern about the increase in resorting to Chapter VII of the UN Charter and to militarized responses to address violent conflicts, particularly in situations where there is no peace to keep. United Nations peacekeeping is “a tool to advance political, not military solutions to conflict,” Deputy Secretary-General Jan Eliasson told the UN Special Committee on Peacekeeping Operations on February 16, as the General Assembly subsidiary body opened its 2016 session. This concern was also on the mind of member states during the November 20th Security Council open debate on the future of peace operations, when they called on the Council to recommit to the spirit and letter of Chapter VI of the UN Charter dedicated to peaceful means for resolving conflict and thus safeguarding the primacy of politics so forcefully advocated by the HIPPO report. “Prevention of conflict must be the priority, not the use force,” said the Global Study on the Implementation of SCR 1325. Third, all three reports have called for a renewed focus on prevention. Our crisis management responses to current and emerging threats to peace and security all attest to our collective failure to prevent conflict earlier on by addressing the political, governance, development, and leadership failures that drive and sustain violence. Conflict prevention and peacebuilding should not be viewed as post-conflict activities only—it should occur before, during, and after conflict. “Prevention is not something to be turned on and off,” the UN Secretary-General said during the opening of the Council’s first high-level debate on security, development and the root causes of conflict. “It should instead be an integral part of United Nations action in all contexts.” While development that left people behind sowed the seeds of violence, well-targeted assistance could address risk factors, such as inequality and marginalization, at the most critical moments. Finally, all three reports advocate the use of the term “sustaining peace” as a substitute for “peacebuilding.” The “sustaining peace” concept frees the peacebuilding enterprise from the short-term horizons that constrain it, particularly when it is conducted as part of a peace operation, which tends to treat the building of peace as a conflict management tool with few predictable resources to ensure its sustainability beyond the lifetime of the mission. More importantly, the sustaining peace framework allows peacebuilders time and space to identify, engage, and support local actors and national structures that would strengthen and solidify peace. It should be stressed that these views are far from universal. Powerful voices among the membership raised concern regarding the possible “securitization” of the development agenda if the Security Council were to push the nexus between security and development too far. Development, they argued, belonged to ECOSOC. What was needed was cooperation among the three pillars, not integration. So while emerging consensus on some synergies is palpable, it’s still fragile, as attested by the frequent references some member states made to the differing, albeit complementary, responsibilities of the various organs that constitute the UN peace and security architecture. Established institutions tend to take their continued relevance for granted and see the world as it has been. They have difficulties articulating a vision for the future, and by nature resist the creation of new structures to meet new demands. Historically, major reforms in the international system have been driven by crisis, and the UN clearly is facing a decisive moment in its history, particularly with respect to its glaring failures to resolve some enduring conflicts and prevent the devastation created by new ones. The gradual shifts in needs and values of member states that we are witnessing today may not translate into institutional reforms, but are likely to result in tangible changes in behavior. There is a shared sense that, despite institutional cleavages, member states are willing to work together differently across divides by building on precedents and cultivating the emerging policy consensus. Throughout this process, collaborative leadership is key, and the new secretary-general should play a proactive, catalytic role. Under the UN Charter, the Security Council has the primary responsibility for the maintenance of international peace and security with the UN General Assembly, the Economic and Social Council and the Secretariat /Secretary-General playing proactive or reactive complementary roles. 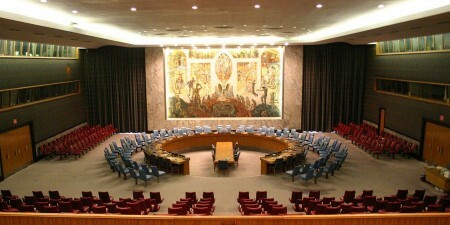 The Peacebuilding Commission, not a Charter organ, is considered by many as being part of the architecture. The High-Level Independent Panel on UN Peace Operations (HIPPO), the Advisory Group of Experts on the Review of the Peacebuilding Architecture and the Global Study on SCR 1325. Youssef Mahmoud is a Senior Adviser at the International Peace Institute (IPI).